My mom and I are getting into oils and aromatherapy so here is what I bought today, it is an essential oils diffuser. I never really thought much about our sense of smell until I used this for the first time and noticed a huge difference in my mood, this experience has made me take a deeper look at my senses. We are given our 5 senses for a reason and many see that as a way to avoid danger but have we given much thought to how it affects us spiritually? The sound of birds chirping, the smell of flowers on a spring day, the feel of a soft blanket or the touch of a loved one, and the taste of your favorite food, all of this is sensory perception and helps to enhance our experience here on earth. 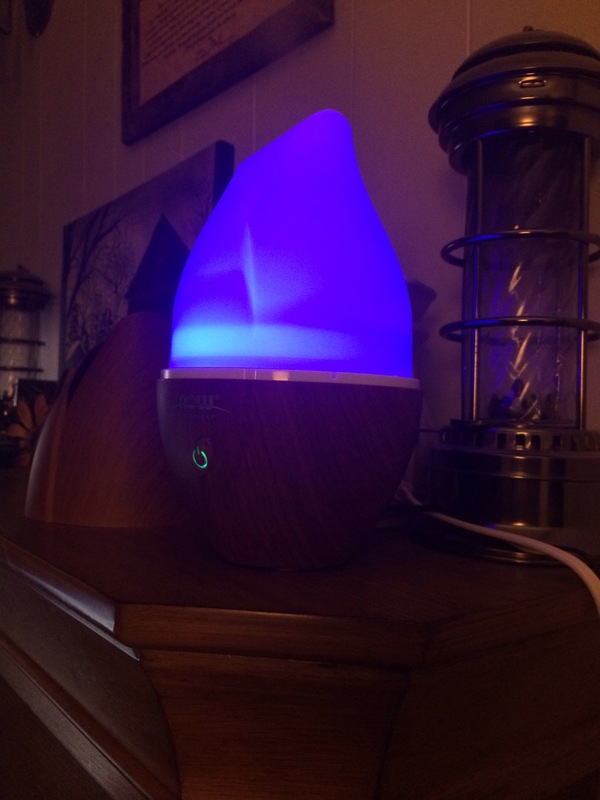 I have realized that when I meditate, using my diffuser enhances this time as the smell of the lilac or jasmine oil that I put in the water helps to calm me even more, even the color changing LED light helps. Instead of just sitting quietly and trying to force myself to be calm maybe I should use my 5 senses to help calm me naturally with items that already do? For me personally, these include the sound of rain, the feel of a soft blanket, pillow, or even an animal, and the smell of flowers or grass, all of these are naturally calming and help boost my mood. No wonder nature is a natural antidepressant, it already contains all of what I mentioned above plus the taste of real fruit and vegetables. I have seen posts about how the soil contains antidepressant qualities within it but I believe it goes deeper than just the soil, I believe it is the whole experience that is taken in with our 5 senses that is the true cure for depression. It is the feel of the soil, the smell of the air, the warmth of the sun, the beauty that surrounds us, all of this is what naturally cures depression and makes us feel better. This entry was posted in simplicity and tagged aromatherapy, inner well-being, meditation, natural antidepressant. Bookmark the permalink.